Every one of us relies on the Internet for everything be it talking to friends and family or checking some valuable information. More and more sites are moving to HTTPS. The search engine Google is coming up with unique ways to make the users feel secure on the Internet. It is asking all the website owners to have SSL certificates on your websites. HTTPS is an internet communication protocol that keeps any kind of data such as passwords, text messages, and credit card details safe. It keeps your data confidential by using the Transport Layer Security protocol. SSL is a security certificate that provides three layers of protection. Encryption: The first one is encryption. Encryption means that all the data sent between a browser and the website are encrypted. Data Integrity: Data Integrity offers a guarantee that your data will not be modified or corrupted during transfer without getting detected. Authentication: The authentication verifies whether you are interacting with the intended website. Whenever a user visits a website, the website offers a certificate to the browser. The browser than validates that certificate that has been given by the website. 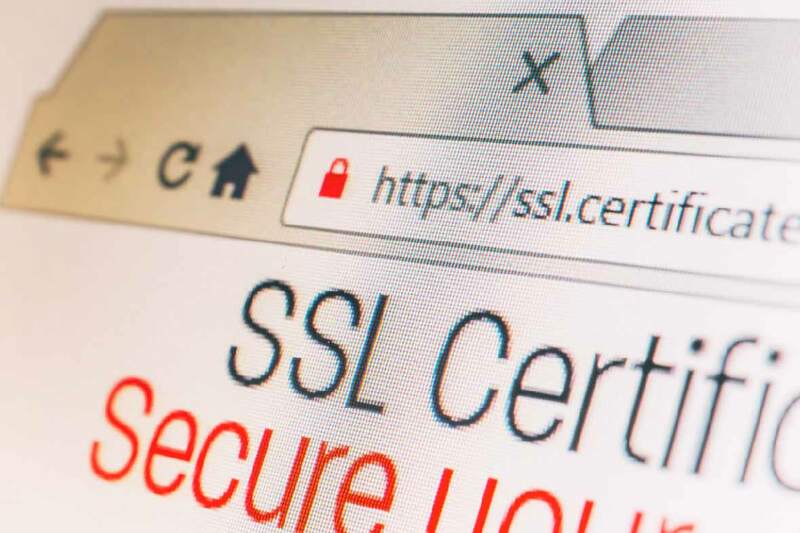 After the user’s browser, has verified the validity of the SSL certification, the connection continues as secure. If the verification is unsuccessful, it will not allow access to the site and you will get a not secure warning in your browser or it will also disallow access to the site. If it is successful, then the browser and the website server will exchange the required details to form a secured connection. HTTPS uses one of two secure protocols to encrypt communications namely Secure Sockets Layer or Transport Layer Security. Both these protocols use asymmetric Public Key Infrastructure system. The asymmetric system uses two keys to encrypt communications between a public and a private key. Better security: HTTPS guards the information of the users and your information from the hackers. The search engine Google also prefers HTTPS as they want to achieve the safest web experience for their users. Increased Google rankings: Google prefers HTTPS sites. Over 40% of sites on the first page of Google are HTTPS. The search engine Google does not want the searchers to insecure sites. Builds trust: Most visitors are worried that their data is being misused online. HTTPS build trust with visitors by letting the visitors know that their information will be secure on your site. Speed decreases: The speed of the website will reduce because of the complexity and math involved to decrypt and encrypt. Performance issues: The information which is sent must be encrypted by the server. This creates performance issues as it takes more server resources if the information is not encrypted. Google will generate errors: It is a tedious task to generate keys and install intermediate keys. Besides, it can be painful if your SSL certificate expires. Google will also send errors to the website users even if you are not using it. What if your website is not secure? If you do not have HTTPS, your website will not be able to protect the communication between your website and the user’s browser. Any information such as an email or any important information is shown in plain text which can be accessed by any hacker. This will break the association between you the browser and the website. But HTTPS sites are ranking higher on the search engine results page because they provide the users a secure website experience. To ensure that website is working and remains SEO friendly after your website switches to HTTPS, you need to verify all the images and assets using HTTPS. You need to also check and update all the internal and external links to the HTTPS version includes social icons. HTTPS helps businesses to get more potential customers, builds trust and boosts website visibility on Google.